The Tribute Man provides dozens of tributes from 60’s, 70’s and 80’s artists such as Simon & Garfunkel, the Eagles, the Beatles, the Bee Gees, Neil Young, John Denver, Donavan, Kansas, Jimmy Buffett and others. Experience 60’s, 70’s, 80’s and more songs the way you remember them. Singing and playing guitar, the Tribute Man's live performances deliver the quality of musicianship that sounds true to the original artists performance. Musical versatility from soft rock to rock'n'roll dance party music tailored to your venue, party or business. 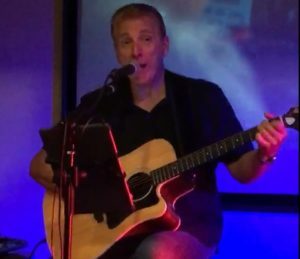 Listen to a sampling of Gary singing and playing some classic songs from the 60's, 70's and 80's.